Ghalib had rightly said, “Yeh hostel food nahi aasaan, bas itna samajh lijye/ ek aag ka darya hai, aur doob ke jana hai!” Now that’s a literal #burn. First comes the horrible food and a discussion about the same with your mother follows shortly. This is the routine of most of the hostelers in the first semester and then you just get used to it. You gel in so well that you tend to forget about the meal you had while eating it itself. For starters (not that your hostel serves that! #BURRRN), the timings are never good enough. Either it is too early or simply so late that you are famished by the time the food arrives and you gulp it down numbly. Remember ACP Pradyuman’s dialogue from CID, “Daal mein kuch kala hai” (imagine him saying this with his patent hand gesture). And then someone would chip in, “Puri daal hi kaali hai, Sir!” Well, that wouldn’t be so wrong to say about the daal served in hostels. The only difference is that the daal is 70% water, instead of it being black. And how can you forget the omnipresent roti vs. chawal debate?! Why can’t they simply serve both always and solve the problem? And even if they serve both, they put a check on the quantity. That definitely deserves, “Haye mera baccha!” from the mothers. But you know what’s worse than that? Karela ki sabji. Bitter gourd. It has bitter in its name. Why do they tend to forget this and cook it every week! In the pool of water pretending to be gravy, the screams of paneer still echo. People say that they were not able to find it. It was lost forever. Are egg dishes really non-veg? You simply cannot serve egg curry on a chicken day and say that it’s non-veg as well. It’s a sin to even say something like that. It’s as confusing as the chicken-egg spiral of origin. Let’s assume that you get over all of this. Let’s just assume for a moment. But what can be done about the difference in food culture?! A Delhiite will always miss the mouth-watering momos and shawarmas (full of mayo, mind you) in rest of the country. A Bihari won’t ever find the same good old litti-chokha anywhere else. A Bangalorean will always get annoyed when bisi bele bath will be called khichdi. And it’s veg pulao/ fried rice for heaven’s sake and not veg biryani! Chetan Bhagat should have written about this kind of 2 states. It would at least have taste as one of its contents that way and some good quality spice. At least literally. It’s true that food helps us survive but sometimes we survive for food. Especially when just a few weeks are left for the end semester holidays and you cannot wait to get back home, to your family, and more importantly to the warmth and smell of good home food. Cheers to good food! Around The Globe In 8 Sandwiches! I have Yakisoba noodles. I have a Brioche hot dog bun. Awwn Yakisoba filled brioche! Don’t kill me for this illustration. It is a perfect contrast of the spongy brioche hot dog bun and the slippery, savoury pan fried Yakisoba noodles. Garnish it with pickled ginger juliennes for that added quirkiness. It’s a real 食べるとホッとする料理 (comfort food). Once upon a time in 1976, Rashaad Pandy, an Athlone based fish shop owner formulated a sandwich out of leftovers for his workers. Froggie ( a worker) as an ecstatic critc, called it ‘this is a gatsby smash’ ( winning dish). Hence the name Gatsby. It is a cradle of a long loaf filled with the goodness of French fries, masala steak, chicken or polony with some Vienna sauce. ! Klassieke ! Arepa is the term used for the deliciously thick corn dough bread and the sandwich collectively known as Arepa Rellenas. It’s like the perfect pocket holding some juicy pulled pork, avocado and cheese and any filling you can think of. Reina Pepiada is a special kind of Arena filled with shredded white meat chicken tossed with tender avocado, mayonnaise, garlic, onion, bell pepper, jalapeno, and cilantro. If this isn’t increíble, then what is?? The land of crêpes, crossiants and pot-au-feu, France offers us with this genuinely classic sandwich. The sandwich is composed of pain de Campagne, whole wheat bread formed in a circle, around the classic Salade Niçoise, a salad composed mainly of raw vegetables, hard boiled eggs, anchovies and/or tuna, and olive oil (never mayonnaise). With some added balsamic vinegar and salt & pepper, you’re good to go. Bon Apétit! The tender meat cooked in rotisseri stuffed in pita bread, tombik pide ( fluffly pita) or lavash and topped with the luscious requisites – tomato, lettuce, cabbage, onion with sumac, fresh or pickled cucumber, or chili, and various types of sauces. The perfect buddy to your late nighties! Ilahi! In no ways could I rule out the Vada Pav out of my list. Battered fried potato tucked between the buns lined with the spicy red chutney and the lip-smacking green chutney. It’s a staple food of all the Mumbaikars out there. Yet, it’s a personal favorite and easy to make a recipe for everyone. ! स्वादिष्ट ! Cemitas are like a cousin to the torta. Originally from Puebla, Mexico, cemitas are the perfect blend of avocado, some type of meat, gooey white cheese, onions, and salsa roja on a brioche-type bun or cemitas. Ricass!! Why rule out the sweet after all the savory? The beauty of the brown butter cookies and the bourbon whiskey old icecream decorated with the cute little chocolate chips. Ahh! Scrumptious. Never knew, London could be so great with Icecream Sandwiches and Britsh Men! I am going to grab my favorite sandwich. What are you waiting for?? 7 Budget Bytes to Satiate Your Hunger PANGS!! The semester’s on! The stage is set with assignments, lectures & the clubs, ready to scavenge all your time. Your college life is an emotional rollercoaster, from fluctuating friendships, crushing on the hottest girl/guy to sour heart-breaks! And when food is your soulmate, strengthening you to survive through all odds, when you are all famished and ready to evoke the inner Adam Richman. You have to settle for the mess ki daal or the maid’s mercy( if you are renting a flat), which makes you homesick. To cope with your hectic schedule you need a healthy diet and need to feel good about yourself. However it’s always easier to order a cheese burst pizza, Hamburgers, Fried chicken wings, isn’t it? Ever wondered that it’s not too late to conjure up your inner Sanjeev Kapoor or Vikas Khanna? Grab the spatula, the ladle, the knife, and grater; fill your hearts with the fervor to cook as I am going to share 7 easy breezy recipes, which are delicious, healthy, rejuvenating and hold the power to soothe that aching heart of yours! Note- I am going to add an ‘Author’s Twist’ after every recipe to share my tips and take on the dish! Starting your day with a Multi-grain Vegetable Sandwich is a wise option. You are free to experiment and add any vegetables, subject to liking and availability! The Multigrain bread has high dietary fiber and helps in weight loss. Author’s Twist – Always go for a whole wheat variant of multigrain bread as the market is flooded with the white and less healthy ones! This dish is super-duper easy, pocket-friendly and a great way to satiate your hungry stomachs after workouts. Eggs are an inexpensive yet rich source of protein, Vitamin B12, D, and minerals. You can also have it as a mid-evening snack to prevent yourself from going for Junk! Author’s Twist – To make your eggs fluffed up, add a tablespoon of milk into the beaten eggs and taste the clouds! Poha is one of the healthiest meal to kickstart your day with. With the beaten rice, a whole lot of vegetables, it is a complete meal in itself and will keep you full for a long time. The most interesting thing about this Indian breakfast is that it can be consumed by people, allergic to wheat. Rich in proteins, carbs, vitamins, and minerals; it is gluten-free and good for people on a diet. Author’s Twist – Avoid adding potato if you are on a diet. You can garnish it with a dash of crumbled paneer, rich in proteins. There couldn’t be a better way to serve oats. Chocolate and oats with the sweetness of ripe bananas, heaven! This is a no-cook recipe. It is super easy and customizable as you can add your favorite fruits and relish health! Oats are rich in fiber & omega-3. Bananas are rich in potassium and add the natural sweetness, cutting additional sugar intake. Author’s Twist – Drizzle some melted peanut butter over the cold Chocolate oats and dig in. Okay, this may not be the dish for health-freaks, but the most sorted out comfort food. I might sound like a cheese snob, but trust me cheese is rich in calcium, is a non-meat source of protein and good fats. Our body needs everything in moderation. So a cup of the gooey Mac-n-cheese is not gluttony! Author’s Twist– For Eggetarians- Serve this bowl of goodness with a sunny-side up egg. Thank me later!! Fresh Green and Raw salads are not everyone’s favorite. Grilled Vegetable Salad is a great alternative and it’s yummy! The salad dressing can be experimented with. Olive oil, which is loaded with health benefits, can be used generously and adds that subtlety to the dish. Author’s Twist- If you do not have a microwave, use a grill pan or tava to grill the veggies. The final addition to this list is my and everyone’s favorite – Pancakes. Oh! Those fluffy little darlings are perfect for a Sunday morning. I won’t say it’s really healthy with the refined flour. But it comes with the goodness of eggs. Author’s Twist- Avoid sugar and take a step and drizzle that glazing honey for sweetness. Serve with a spoon full of Nutella richness or a generous scoop of ice cream. Okay! Okay! This is a sin. But why not reward yourself for going healthy, with this delicacy? Here’s an article dedicated to all of those living away from their parents, those who can’t spare much time cooking. These recipes are about to elicit a ‘Ma Ma Mia‘, from your mouths. Say Bye bye to junk when you can wear the hat and create magic in a snap! Actually, these dishes are budget friendly and are made out of the common ingredients present at home or come really handy for those living in PGs and dorms. All these dishes can be prepared without the use of a microwave and won’t take up much of your time. ‘Health is Wealth.’ When healthily is tasty and not hard on the pocket, why not do a little cooking for yourself? 5 Offbeat Careers To Embark Upon! To every ‘ Where do you see yourself in five years?’, if your mind palace takes you to the deep seas, to the vineyards or to a Michelin star restaurant, but all you do is simply nod and say – software developer, doctor or a CA! Read on my friend. There are a plethora of the offbeat and unclichéd career options that will make you stand out from the crowd. Unconventional career options not only are free from the unprecedented competition but also provides you with a sense of flexibility, recognition, satisfaction and the opportunity to prove yourself beside a handsome pay package. The icing on the cake here is, that you don’t require years of training, just a 10+2 and a certification in the respective field coupled with your innate talent! TCF brings to you 5 such Offbeat Careers to kickstart your professional lives with. If you love the sea more than the shore. and dream about swimming with the ocean currents, Scuba Diving is the most enticing career choice for you! Besides a high level of physical and psychological fitness, you require good communication skills and the patience of a saint. To be deemed fit as a SCUBA ( Self-Controlled Under Water Breathing Apparatus) Diver and Instructor, the PADI certification is a must which is offered by the Maharashtra Tourism, Barracuda Diving Institute, Goa and The Bangalore Mountaineering Club. Job Prospects – The diving industry is a booming one, not only abroad but also in India. As per the degree of your specialization, you can work with shipping companies and world organisations like Animal Planet, National Geographic or Discovery Channel as a deep-sea explorer or photographer. You can lead excursions to the cavernous waters as a diving instructor, own a SCUBA equipment store and help in rescue operations. Most of us go ‘Aweee’ in admiration of their beauty and innocence. Yes, I am talking about the pets who sometimes seem better groomed and fashionable than us, maybe! 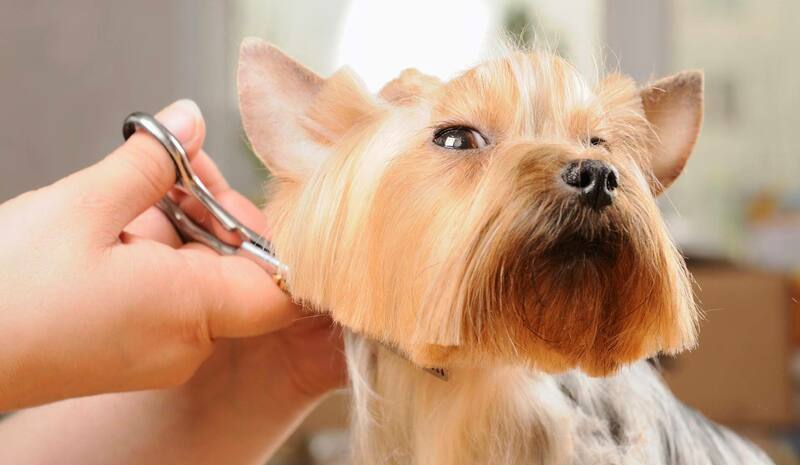 Pet Grooming is a brewing career option in our country and the client base is increasing. Weary of the materialistic world, people are closer and share a ‘through the thick and thins’ relationship with their pets. For establishing yourself as a pet groomer, you need a deeper understanding of their behaviours as they may behave unexpectedly. You need to be familiar with all breeds of dogs and cats, you need to be an expert on everything from nail clipping to brushing to shampooing to trimming, removing fleas and ensuring their health. Job Prospects- Pet groomers can work in kennels, veterinary clinics, animal shelters, or pet supply stores. You can also operate your own grooming business by starting a salon or parlour. After gaining expertise, you can take the supervisory or managerial position at big retails or kennels. Do you have the knack for using your voice? Do you feel you can be the next Meghana Erande – who is the voice of ‘Dee Dee’, ‘Noddy’, ‘Shinchan’ and almost all the famous animation characters? Voice Acting can help you channelize the inner creativity in the right direction. Reach out to established professionals to get a leg up on your new career. Classes, teleclasses, seminars and voice coaches are invaluable to your search for voice over success. Read related books to master the profession. Job Prospects- Umpteen number of video & radio programs, documentaries, presentations, radio/TV jingles, spots, Phone softwares, IVR, Multimedia, audio books, training and safety videos, tonnes of E-learning Content, require Voice over actors/artists. Once you have endowed yourself with industry knowledge, vocal training and a home recording studio, you are all set to flourish in the industry! Equipped with critical taste buds and prolific writing style? Food Critic is the most sorted and respectable career for you. You will enjoy the luxury of walking to the finest of restaurants, taste free food and be paid for it. But to reach that benchmark, you need to develop a distinguished sense of taste, have the knowledge about exquisite food, taste bizarre dishes, have the perception for minute details and the ability to weave the taste into words appealing to the audience. Job Prospects- Food critics submit reviews and articles about their experiences in local newspapers, magazines, review websites, TV programmes or on the radio. You can work as a freelancer or even start your own blog/website. Are you a dead drop shopaholic and a fashion maven? It’s time you turn your passion into a profession by becoming a professional Personal Shopper. By giving personalized attention and providing advanced knowledge of products, services, and trends, Personal Shoppers become consultants to provide an aggrandized shopping experience and create a loyal customer base. To grow in this field one requires to interestingly communicate and deliver an enriching shopping experience marked by high sales ticket averages. Job Prospects- Personal shoppers always maintain the highest level of professionalism in both appearance and attitude. Retail employers will want their personal shoppers to be authoritative, ultra professional experts with an inviting and friendly demeanour. You can either work for famous brand retails or can start your independent personal shopping consultancy! Instead of following the conventional path like a sheep, it is time you explore careers that resonate with your personal admiration. 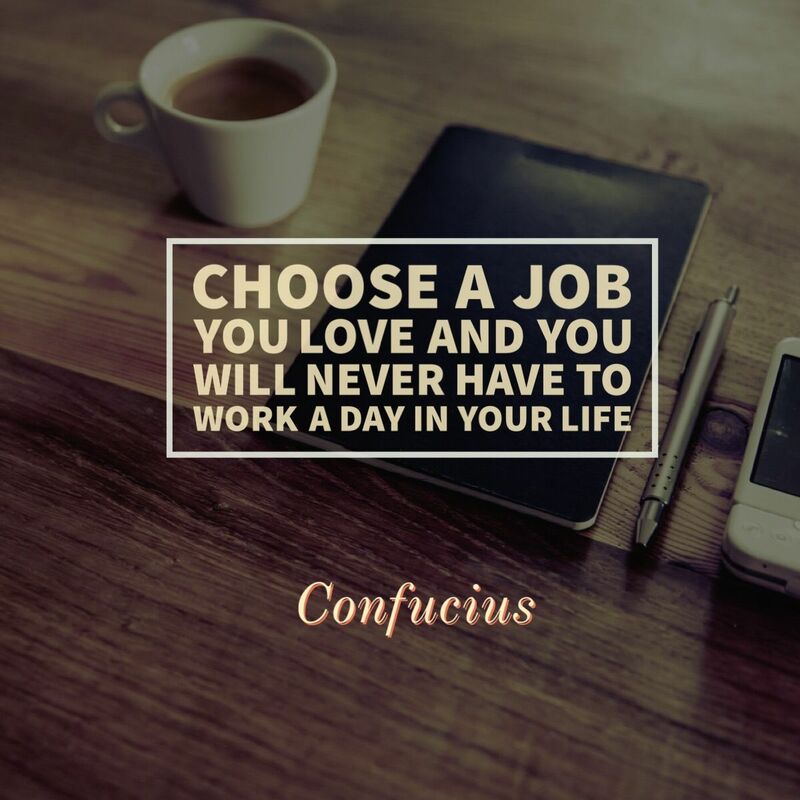 Parting with a quote that will redefine your definition of work, we’d like to know which career option clicked with you! Maggi : Which is your Favourite Combination? For everyone in college, Maggi is the best, quickest, hunger fix. IF you stay in a hostel, the importance of maggi cannot be overstated. Over the years many kind souls from various parts of India have begun embellishing the basic Maggi recipe with various other ingredients to make it yum. While we found some combinations that sound terrible – Maggi between toast, for example – these are three that we think that every Maggi lover should try. At number 3, there is the Maggi Masala Recipe. With close to 3.5 million views on Youtube, this is the recipe most people go to. With step by step instructions, this video tells you how to make a killer Maggi Masala with veggies. And, at number one, is our special favourite. Celebrity Chef, Saransh Golia gives us the most watering recipe of them all – Maggi recipe with Eggs & Caramelized Onions. On a scale of 1 to 10, this is somewhere near 15. Quick to make, fabulous to taste, just the recipe to pull out to impress friends who drop in. Drop us a note and tell us, which is your favorite Maggi Recipe. ? India is so vast, so diverse, so ancient, and so incredible, that most of us, caught up in our every day lives, don’t pause to consider how wonderful it is. We see stuff on India on TV or youtube, read things on our smartphones and forward those, diligently on whatsapp to our friends. But, India is far more interesting than a whatsapp forward. Ancient India was into Astronomy. While most of us have heard about how much ancient Indians were into astrology, very few of us actually know that astronomy was far more prevalent. There were observatories built across the country, by interested kings and astronomers. One of the most famous observatories is Jantar Mantar, Jaipur. Btw, Jantar Mantar means Calculation Instrument. Jantar Mantar, however, is a relatively new observatory – about 500 years old. 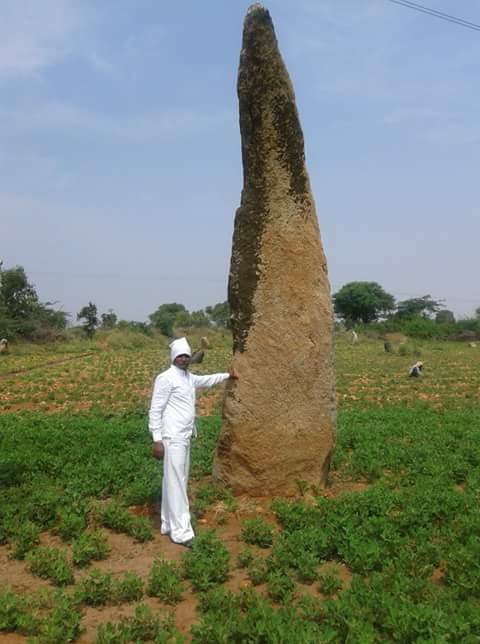 archeologists described it as ”the only megalithic site in India, where a depiction of a star constellation has been identified”. The ancient observatory dates to 5,000 BC and the researchers believe that it is the earliest astronomical observatory discovered in India and perhaps even in the whole of South Asia. Who doesn’t like the Malpua – the yummy desert that goes best with Rabri. Each part of India has a variant of the Malpua. Ever thought to consider, where the Malpua came from or how old it is? The first reference to the Malpua is in the Rigveda, where it is called apupa. You can read more about the malpua here. Those of you who live in Bengaluru would have passed by the Lal Bagh Botanical Gardens. One of the key attractions in the gardens, is the Lalbagh rock formation. Samosas – Is it Junk Food or is it Good for you ? Can something that is deep fried be good for you ? Conventional wisdom would say no – that it is better to eat a salad or something healthy as a snack. But, ask your self this question – this one question – does a carrot or a cucumber, or any salad, give you as much joy as a samosa? When you bite into that hot hot samosa, the first bite of the crust that melts in your mouth. And, then you get the first taste of the stuffing – potatoes, peas, ginger, green chillis. The samosa is still piping hot and the stuffing scalds your tongue, just a wee bit. You pause for a second, but you really can’t stop biting into the next chunk of the samosa. Both the crust, and the stuffing are melting in your mouth. And, then you bite on a piece of green chilli, your tongue is on fire between the hot samosa, and the spice of the chilli. There is just that wee bit of water in your eyes – no of couse it is not tears – and, then the samosa is over, and you want the next one. This time, with sips of chai (or cola) to make it even better. 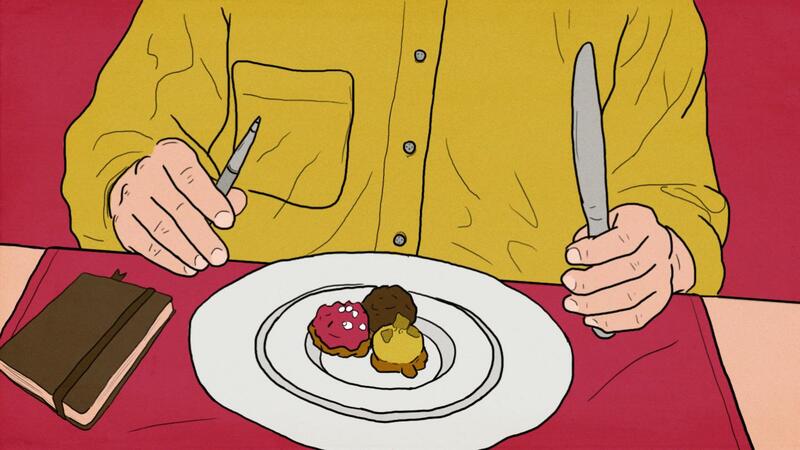 The sense of well being that we have, when we eat food that we love, or comfort food, is huge. Researchers believe that the brain’s reward mechanisms — specifically the hormone ghrelin and the chemical compound 2-arachidonoylglycerol (2-AG) — fire up the body’s response to pleasurable foods. Our body likes these chemicals, and wants more, and pushes us to eat more. Which is why you have to be sensible when you eat your favourite junk food. No point saying you will never eat it, that may be impossible, but what you can do is have it occasionally and control the quantity you eat. Especially before exams, or interviews, it may be a good idea to have your favourite food – samosa or anything else – just for the feel good factor. No, you didn’t imagine it, it really exists.